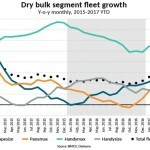 Drewry’s outlook for dry bulk shipping remains positive given the shrinking supply-demand gap, according to the latest edition of the Dry Bulk Forecaster, published by Drewry. With high demolition activity and low deliveries the fleet is expected to grow at a slow annual rate of 1% over the next five years, while tonne mile demand will grow at a faster pace of around 3% per annum. 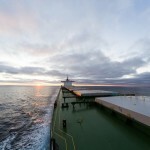 As supply and demand becomes more balanced over the forecast years, charter rates are expected to improve gradually. 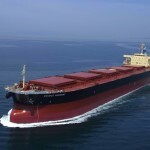 Drewry has also researched and flagged the impact of renewables on the dry bulk trade, as this has the potential to reverse charter rates, and has built two scenarios based on current trade developments. The Chinese government’s stimulus package in 2015 supported steel production last year and is likely to aid the steel industry over the next two years. The relative cheapness of imported coal (cfr) over domestic coal makes room for increased coal imports, supporting the rally in rates for the rest of the year. 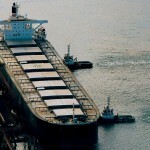 However, the declining cost of producing energy from renewable sources and the general acceptance that COP21 may reduce the use of coal as a major energy source is a threat to the dry bulk shipping trade. Although the share of renewables in total energy production is quite low for most major economies, any shift away from coal could hamper the dry bulk trade over the medium term (1-3 years). 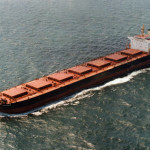 Looking at demand, Drewry has identified three concerns that might impact dry bulk shipping rates in the near future. First, the National Energy Administration of China plans to increase coal consumption by only 0.7% annually over the next four years, and plans to meet its energy production targets by making coal use more efficient. Secondly, China also plans to cut down on excess steel capacity by 100 million tonnes over the next five years by shutting down illegal, sub-standard, steel-making units. 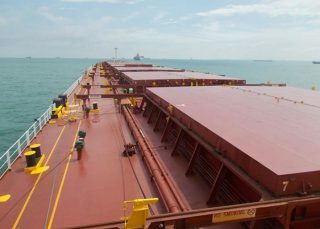 The combined efforts of China and India to increase the share of renewables in their energy mix could bring down the dry bulk market to an era of negative growth in the short to medium term. Thirdly, India plans to increase its thermal coal power generation to 236 GW in 2022 from the current 186 GW, an increase of 4% annually. Coal India, which meets most of the country’s coal requirements, has been increasing its output by 5.8% annually and the government has been making additional efforts to increase Coal India’s output faster. To produce 236 GW thermal coal power in 2022, India will require 159 million tonnes of imported coal, meaning an annual fall of 1.8% in imports. If we club the three downside risks to demand together, there is a risk that charter rates could start declining. 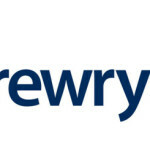 Drewry has built a scenario to show what will happen if India and China together reduce or slow down their coal imports, and China starts cutting down its steel production output. From a low base in 2016, average rates might still be substantially higher in 2017, but will start sliding from current levels and will continue to fall over the next three years, stabilising thereafter. The chart above shows the timecharter rates in scenario 1 (base case rates) vs rates in scenario 2 (lower demand case).